Millipedes are a minor garden pest that eat decaying foliage and plant material. They can be an even bigger nuisance in greenhouses where they can cause severe damage to emergent seedlings. Signs of millipede damage include the stripping of outer layers on a young plant stem and irregular damage to leaves and plant apices. 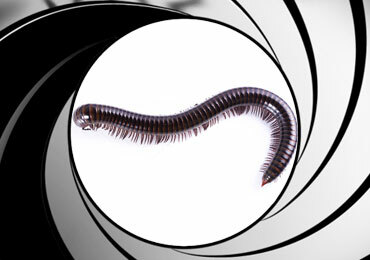 License To Kill provides comprehensive residential pest control protection plans, which eliminates millipedes and reassures peace of mind. We have extensive experience eliminating millipedes in historical structures, commercial properties and apartment complexes. At License To Kill, we understand pesticide sensitivity. If you’re allergic to pesticides, concerned about your pregnancy, pets or children, we care and are prepared to work with you. Please call us for your pest control needs today. Get Rid Of Your Millipedes Today!